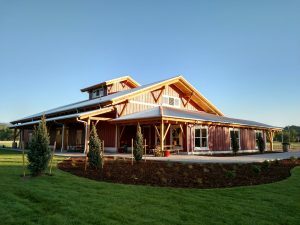 Set on the banks of the Big Thompson River, 2 miles west of Loveland Colorado, Sweet Heart Winery & Event Center delivers high quality hand crafted wines combined with a unique rustic-elegant setting. See what others are saying Sweet Heart Winery on our Facebook page. Wait till you see the inside! Located on Highway 34 (Eisenhower Blvd in Loveland) just 2.5 miles west of Wilson Blvd in Loveland. Look for the Big Red Barn on the south side of the highway.